HighStrung At The Piedmont Triad Farmers Mkt. 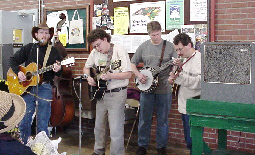 "HighStrung has played at the Greensboro Farmers' Curb Market on Saturday morning and both our vendors and customers have really enjoyed them. 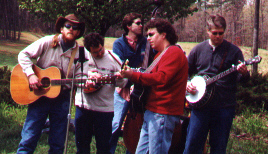 I am the Market Coordinator and I have received numerous compliments on their playing. 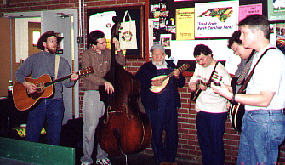 Their music adds a wonderful background to the main activity, which is the buying and selling of produce and other goods. It keeps customers in the market longer and also keeps them coming back. They are just great and we love them!" 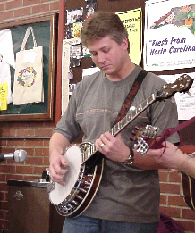 We love to play at The Farmers Curb Market in Greensboro, NC. Here are a few pics from the last time we played there. Please check the Show Dates to see when we will play there again. It's a great place to spend a Saturday Morning! We've got a new bunch of pictures for you to see here. 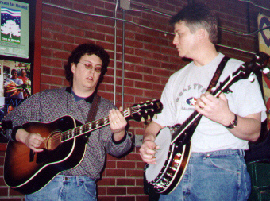 We played the Greensboro Farmers Curb Mkt on Saturday 3/23. The crowds are getting bigger as the temperature warms up. Be sure to come see us next time we play there. And come check out some VIDEO CLIPS we took while playing there.